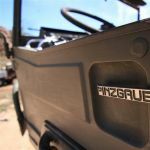 Running lights out - THE PORTAL HUB - Pinzgauers, Haflingers, Volvo 303s and more! Naturally as soon as I get this home something goes south. My front running lights don’t work. If I turn the switch to running lights only the rears light up but the fronts do not. The left headlight comes on very dim. If I turn the switch to headlights on the headlights light up normally but no front running lights. Tears work fine. Turn signals work both front and rear under all switch positions. Emergency flashers work properly. A direction to look first would be much appreciated. I don’t mind troubleshooting...when it’s sunny and warm, but doing it in the snow/rain and borderline freezing temps has lost its appeal, so any hints are more than welcome. And of course they had to take a dump before I had the chance to get the state inspection done so I could transfer the title and get plates. And the batteries definitely didn’t like the change in weather. Worked fine where it was warm but will barely turn it over where I am. New batteries purchased and headed home for the install. The front running(parking) lamps are a separate bulb within the headlamp assembly, and not in the turn signal lens Assembly. Sounds like the one bulb is burned out. It's a Euro thing. Really? I pulled the drivers side headlamp out and only saw a single socket that looked like it was for a bulb. Had a little rubber "boot" on the back with wires coming out. I didn't open that up. Is that the one? Apparently you do not have the original headlight reflectors. Like Dave said, they did have a seperate bulb below the headlight bulb with a seperate wire providing power to it. If you need to have running/parking lights to be legal then you'll need to get some original reflectors. It's possible some of the aftermarket upgraded headlight reflectors also have the running light. If you need a set of the original reflectors I may have a set I could send you. I think Dave is most likely right and I'm just a head-up-the-arse newbie. There are 2 bulbs under that rubber boot I mentioned. The headlight halogen bulb and a separate little bulb which should be the running light since I can't imagine anything else. Drivers side low beam portion of the bulb is burned out. I pulled it and checked it on my bench top pwr supply. The running light bulb is fine. I pulled the passenger side headlamp out and it is all kinds of janky looking compare to the drivers side. On the drivers side there is a 3-way plug into the the head lamp and 2 separate spade connectors to the running light. On the passenger side there is the 3 way, but there is this big round metal "cup" that surrounds it all, with a big round spring between it and the back of the headlamp. This cup also had what looks like some contacts built into it that look like there were supposed to make contact with the spade connections on the back of the running light bulb socket. And this part is all whacked out. I'm going to cut that mess out tomorrow and make it look like the drivers side. In the meantime I wonder what are the odds of finding a 24V 90/100 watt bulb around here so I can get the dang thing on the road. Sounds like you have it under control now. The bulb is available from SAV for about $11 if you can't find it locally. Under control might be a stretch, but I’m learning stuff. . Like finding 24v bulbs around here is kicking my arse. And just for giggles, here is a shot of the headlight switch on the dash. There is a pink wire in he pick that has a spade connector on it. I don’t think that connector is factory. It is coming from the #8 circuit breaker. You can see a connector on the switch just to the left of the spade. It’s the 3rd one down from the top as seen in the pic. The wire that went to this connector appears to be pink(ish) and has broken/been cut flush. Any insight as to whether these two are related, or is the wire shown for something else entirely and not connected to the light switch. At one point this #8 breaker was popped. I don’t know if it was that way when I purchased, or if it popped somewhere between then and when I started mucking about with stuff. I just remember noticing it, resetting it, and nothing has changed since. not having information on location hampers advice. For light bulb selections try an emergency vehicle or large truck light store. We have a company around here called The Light House and they have a huge selection of 24v lights and bulbs. If you plan on keeping stock I believe SAV still has a light bulb package that has a selection of all the bulbs needed for the pinz. I have a few of these sets and they come in handy. The pink wire was orginally connected to terminal 58 (as I recall) on the light switch and was used for the blackout lights when those were installed. A common modification to the Pinz's was to disconnect the pink wire from terminal 58 and then splice an extension wire to reach over to the brake light switch on the back side (towards the front) of the master brake cylinder. There is more to it than just that and if you search this forum for brake light mod you should be able to find the thread. The purpose of the mod was to change the original Swiss Pinz brake lights from using the amber lens and a single circuit to using the conventional red for the brake lights with dual filament bulbs. Thx. I ran across most of that info by accident when researching but didn't realize it was related. I've got the "normal" US style red brake light/turn signal and they work fine so I guess someone must have changed to a different wiring solution to make that work. I didn't see a package anywhere so I just tossed a bunch of bulbs into the cart and did it that way. Theres a large truck parts warehouse near me but I don't recall them having much in the way of 24V stuff. Thx for that! I’ll have to check them out. One thing we’ve got around here is tractors...in spades. Got the front running lights sorted out. On the passenger side I cut out that janky looking spring loaded cup do-dah and put on some spade connectors. I’ll post up a pic of that when I get a chance so someone can tell me what it’s actual function was. Whalah! (I know, voila’), I’ve got running lights again. I had 1, but in my ignorance I thought it was a bad ground giving me a dim headlight, when what I actually had was bad low beam on drivers side and bad running light on passenger side. Waiting on misc bulbs from SAV and I should be back in business light wise. Brakes. Brakes blow great big goats. No such thing as a hard stop from anywhere above about 10 mph, and probably iffy there. THey are dangerously bad and will need immediate attention. I hope it’s just a bad bleed job and out of adjustment, but the Po said he just did all that. We’ll see. Next on the must-do list.